Checkers or draughts is the name of several different board games. All of these games are similar. In every kind of checkers, the other player’s pieces can be taken by being «jumped» over. «Checkers» is the American name. In British English, and in various other English-speaking nations, these games are called «Draughts«. Though most people do not know it, the game we know today as Draughts has a long and storied history. 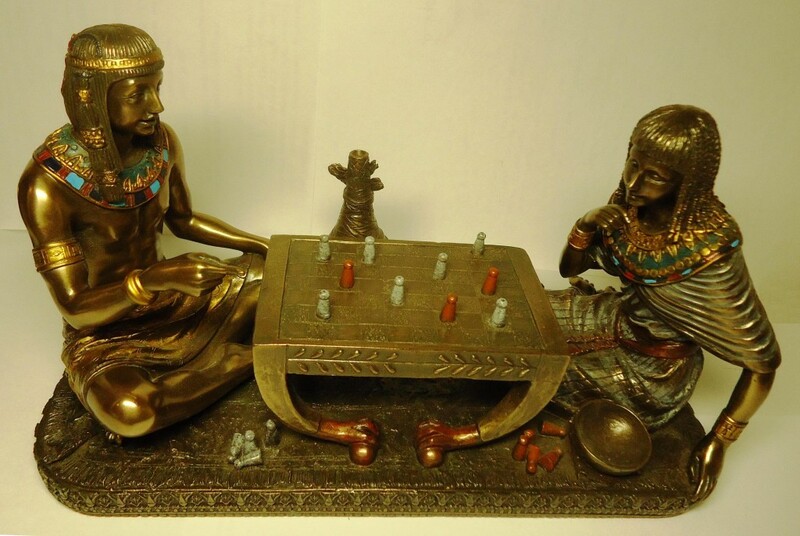 From ancient Egypt to your own living room, Draughts has remained a popular pastime for most of recorded history. Draughts, as we know it, probably began as a game called Alquerque, or Quirkat. Alquerque boards and pieces have been found in archeological digs dating as far back as 600 BCE, and images of Alquerque have been found carved into temple walls dating as far back as 1400 BCE. It was played throughout the Middle East and the Mediterranean basin. It was enjoyed by the Ancient Egyptians, mentioned by both Plato and Homer, and even made its way into India. While we do not know exactly how the ancients played Alquerque, what we do know about the game strongly resembles modern Draughts. Like Draughts, Alquerque features round, flat pieces divided into light and dark colors, the capture of opponent pieces, and a grid-based board. Unlike Draughts, an Alquerque board is only a 5×5 grid and sports intersecting diagonal lines; and in Alquerque, there are only 10 pieces per side, moving along the intersections of lines instead of within squares. Historians place the invention of «modern» Draughts in the 12th century CE, when someone, somewhere (probably in the south of France) combined the rules and pieces of Alquerque with the 8×8 grid of a common chessboard. They called the game Fierges, and the pieces «ferses,» the same name given to the queen in Chess; at that time the queen moved like a Fierges piece, one space at a time. Later, Ferses also became a name for the game, and by the 15th century both Fierges and Ferses had been replaced by the name Jeu De Dames, or simply Dames. Many famous men were fond of Draughts. It’s antiquity is attested by Homer in the Odyssey, where reference is made to games in the palace of Ulysses in Ithica: and by Plato who in his dialogs makes frequent mention of it by way of illustration. The oldest know works on Draughts was published at Valencia, Spain in 1547 by Antonia Torquemado. Famous Draughts players have been Cicero and many roman emperors: Napoleon; the Duke of Wellington: Federick the Great; Pierre Mallet, engineer ordinary to Louis XIV; Edgar Allen Poe; J.P. Dodd L.L.D; General U.S. Grant who ascribed much of his military success to the mental sharpening derived from Draughts, Garibaldi, the savior of Italy; John Paterson the great mathematician; Andrew Carnegie and hundreds of doctors, lawyers, and members of the learned professions. There are several types of games in draughts on a board 8 X 8 in the present. Section 64 develops Russian and Brazilian versions of draughts-64. Draughts, which originated and gained great development in Russia, have called Russian version of draughts-64. The game spread throughout the world today. Players from more than 30 countries took part in official competitions for Russian version of draughts-64. board 8 X 8 to the rules of draughts 10 X 10. The game became known as Brazilian draughts. The game is very popular in Brazil. Players in some European countries and China play this game too.